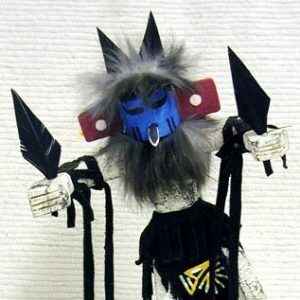 The Wolf (Kwewu) is considered a great pack hunter who helps and guides the hunters on large combined hunts by using his great knowledge to find and capture game animals. 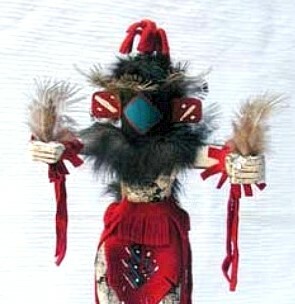 The Wolf Kachina appears in the Mixed Dance and the Water Serpent ceremony. 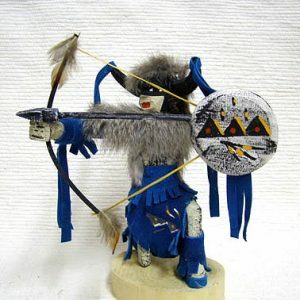 After these dances the Wolf is offered cornmeal or prayer feathers so the tribe may learn from him and secure game on their hunt. 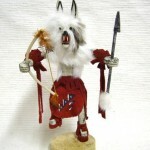 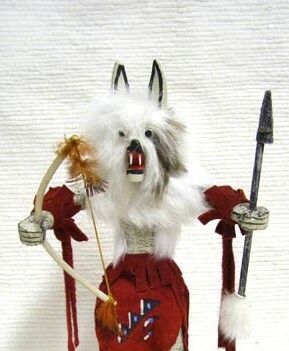 As hunters, the Wolf Kachinas navigate the earth, the stars, and the sea. 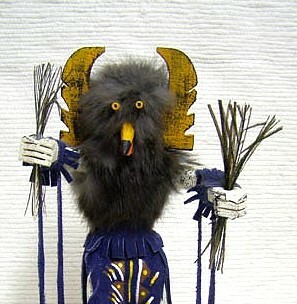 They alert others to danger. 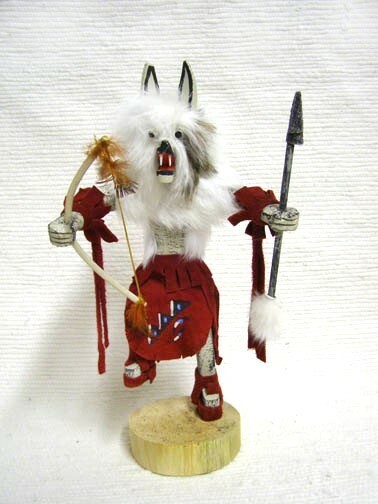 This Navajo Kachina is authenticated by the artist’s signature on bottom of the stand.